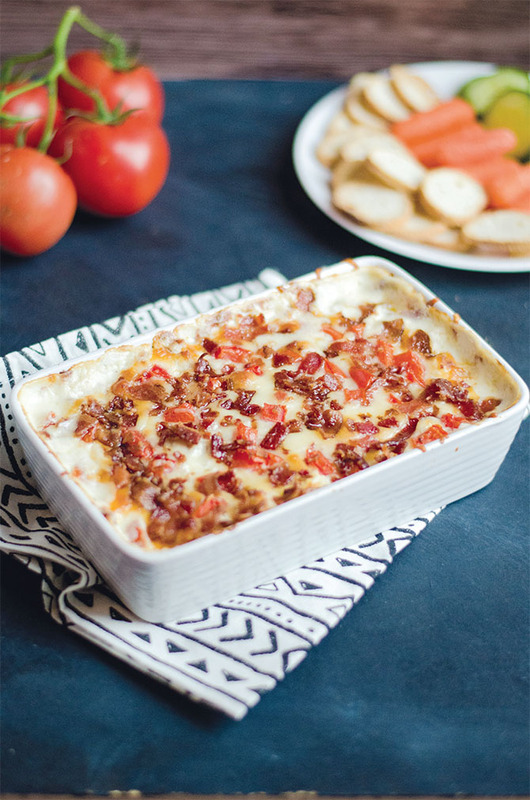 Everyone loves the hot brown, but the cooking and assembly can be too cumbersome when you’re cooking for a crowd. Get creative with this steaming Hot Brown Dip that tastes just like the sandwich, but in a rich, scoopable form. Preheat oven to 350°F. In a bowl, stir together the cream cheese, yogurt, nutmeg, 1 cup shredded white cheddar, and turkey until thoroughly combined. Transfer to a baking dish and spread evenly. Top with the remaining cheddar cheese, tomato, bacon, and the pecorino romano cheese. Bake at 350°F for about 30 minutes, or until hot and bubbly, and lightly browned. Serve with crackers, baguette slices, and crudite for dipping. Find more recipes from Paige Rhodes here and consider serving this dessert at your upcoming Derby party.